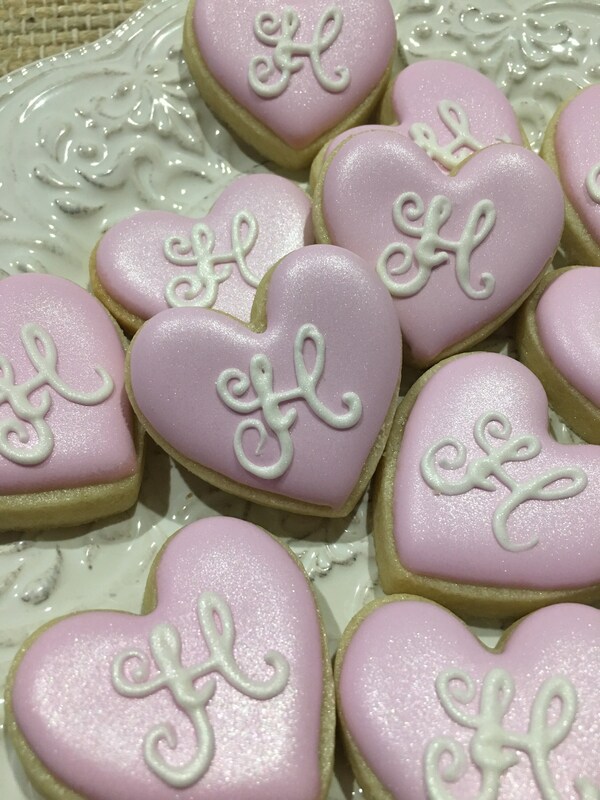 12 Pieces Monogrammed Mini Heart cookies. Colors can be modified to your liking. The other larger heart cookies in the photo are not included. They're for size reference only. Each cookie is approximately 1.75 x 1.75 inches in size. This is a 'smaller' mini cookie. Very pretty! Tasted great! Decorated exactly how I requested!